Vermont is beautiful this time of year and we were thrilled to have four nights of QT with family. I am trying a new format at least for now, partly to save time and partly because I suspect the full day-by-day recount is more detail than you care about and more than I will ever need to recall. We entered Vermont and drove through the charming town of Vergennes before dropping Sven at another Volvo dealership for his scheduled check up. This place was around the corner from my Dad’s house (which is actually in Shelburne and not Burlington), and I cannot say we were thrilled when they charged us money to check the battery and bumper while everything is under warranty. 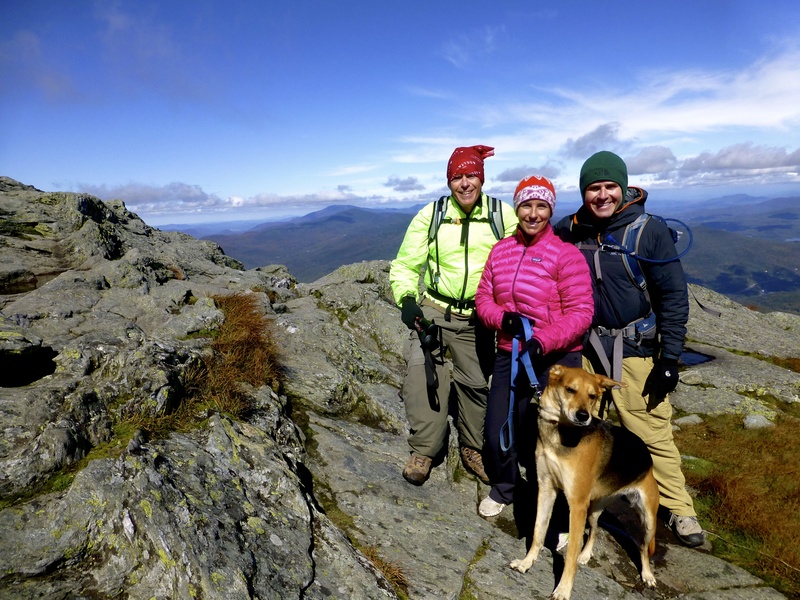 Our first full day here we hiked Camel’s Hump with my Dad and Olivia (Linda’s dog). The drive takes us by pastoral rolling hills and town halls. There are stone walls, rushing streams and a dirt road for the last stretch. This is a great day hike…it is challenging but not extreme and has a nice forested trail that opens to a summit with expansive views. I believe the stats are 4.8 miles roundtrip and about 2,300 vertical feet. Hiking here often takes longer than in California because the footing is more difficult. The top was very cold and windy but the clear views and abundance of loved ones warmed our souls. Olivia put on quite a show, running ahead then circling back to be sure everyone was still coming. The entire time, non-stop. 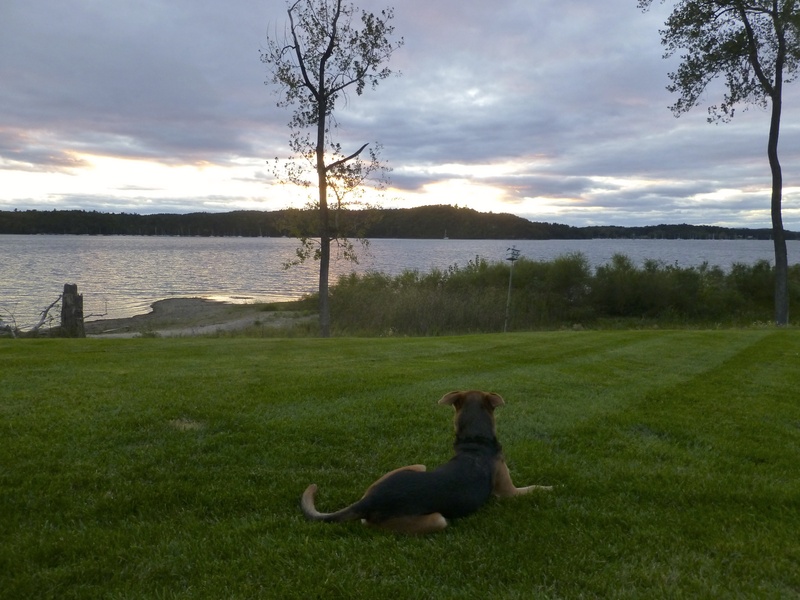 Then she had an epic play session at the landing near the summit with another hiker’s Austrian cattle dog mix. They were each extraordinarily quick. We picked my Dad’s brain re Ethiopia, Nepal, etc. Which was nice because the man’s memory is like a steel-trap, he can recall where he and my Mom went and why 40 years ago. That night we had dinner with Dani and Dorota from Merrill Lynch at the spectacular Shelburne Farms, which is very near my Dad’s house. In addition to thousands of acres that Frederick Law Olmsted helped design with functional farm and educational use, there is a lodge and classy dining room with embossed red walls, white and black tiled floors and a large fire place. The room was not that much smaller than Chicago Cut and probably had one-third the tables. The braised lamb gnocchi special was excellent, and the Bethel Heights pinot noir I selected from the Eola-Amity Hills AVA was tasty. I enjoyed putting into action some knowledge earned on this trip. My Dad has some kayaks which we all took out for a couple hours. A little way’s down the lake shore is the La Platte River. We saw lots of turtles and some great blue herons. The water level was quite low and the river became impassable (without portage) sooner than is typical. 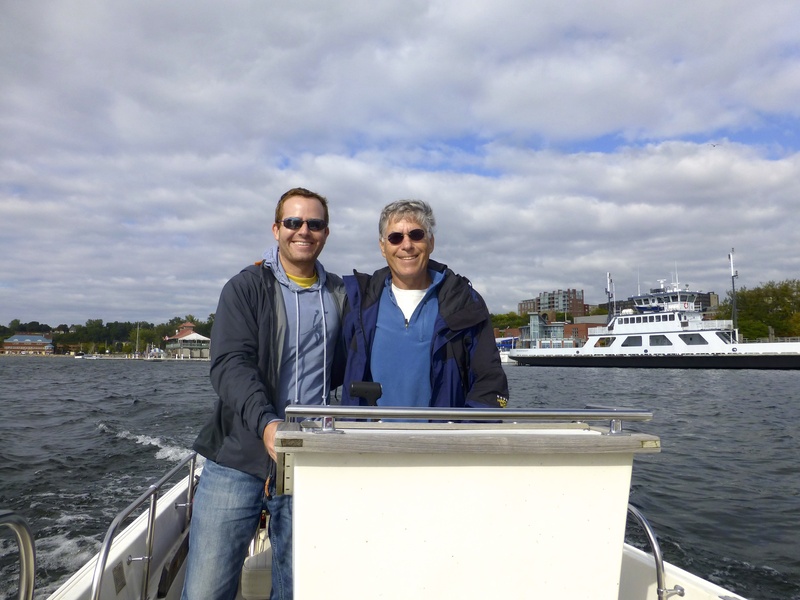 One day we took my Dad’s boat (after jump-starting the dead battery, becoming a theme on this trip) into Burlington to walk around and have lunch. The lake was a little rough but not too bad as we did not have to cross because our start and end were on the eastern shore. Views of the Adirondacks to the west were nice. We docked the boat and passed a place selling maple creamies (what Vermonters call soft-serve) then walked up College Street. Church Street here is akin to Santa Monica’s Third Street Promenade, only with more New England class. 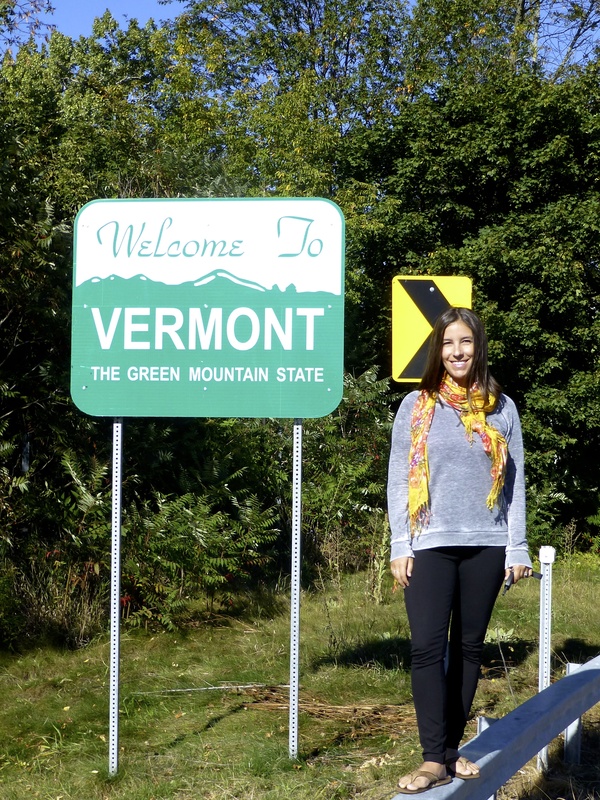 Burlington is a wonderful little town with shops, restaurants, bars, the University of Vermont, live music (Grace Potter, one of Jenni’s favorites and a Vermont native, often plays here), liberal attitudes and more. After a quick stop for free sunglass repairs at Reid’s EyeCare of Vermont, we ate lunch outside on Church Street at Sweetwaters after Leunig’s Bistro would not allow dogs, even on the patio. The pulled pork nachos were delicious. 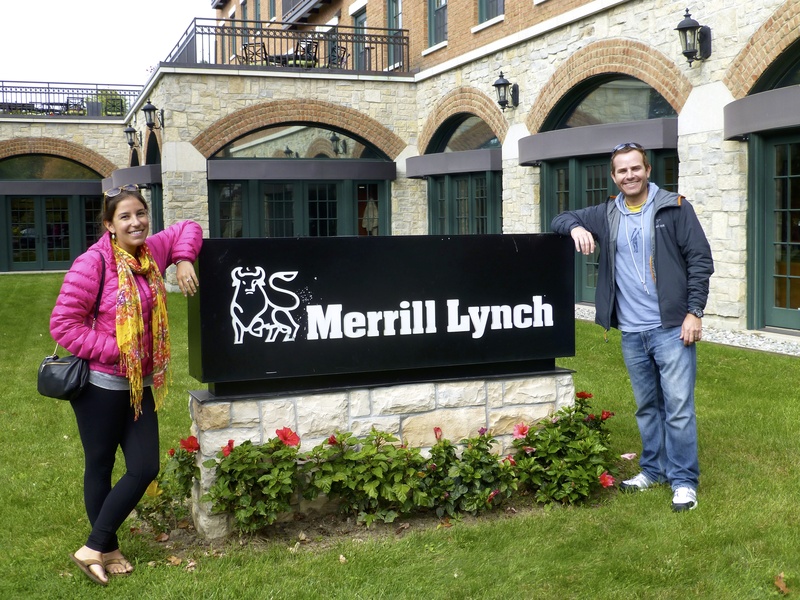 Special thanks to the ladies at Merrill Lynch who not only came up with the idea but helped us facilitate executing a power of attorney so Mike could access our safe deposit box in Los Angeles and send us Jenni’s passport so we could start working on visas for India and China. Not only did we accomplish an important task, we learned about the under-desk elliptical trainer, which I will have to purchase if I encounter the misfortune of one day sitting at a desk again. At last I got to play some tennis on this trip. My Dad is still pretty good at 68 years old, and I love playing on Har-Tru instead of hard courts. We cranked out a bit of international travel research while here, a never-ending endeavor. A great benefit of being on the road is exposure to new ideas and insight gained through conversations, be they with strangers, friends or family. For example, my Dad and Linda told us about Blue Apron, which might be of interest to those of you who like to cook but have limited time. Vermont-specific recommendations included the Starry Night Café, Hotel Vermont, American Flatbread restaurant and Heady Topper beer. I am grateful for this time we got to spend with my Dad and Linda, it was truly a delight. And very nice to enjoy his amazing property for likely the last time before he sells it. 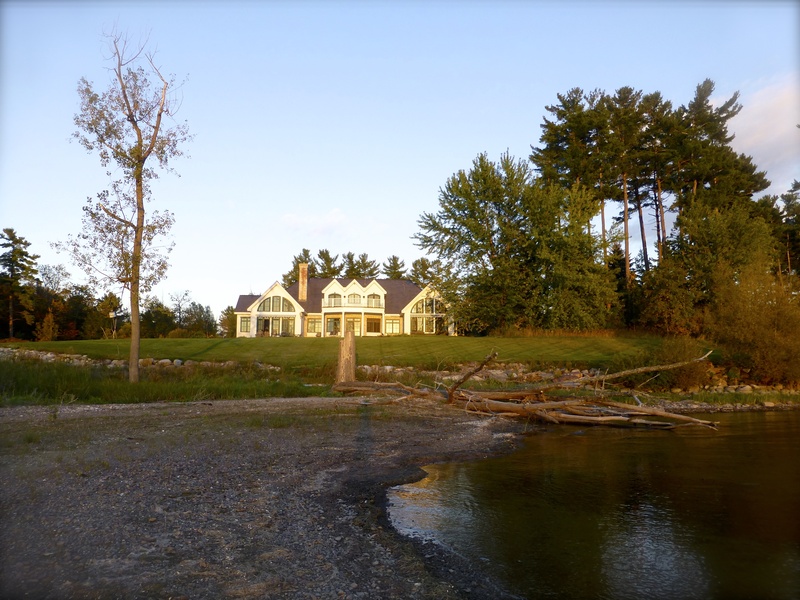 This entry was posted in North America, Uncategorized, Vermont and tagged Burlington, Lake Champlain, Shelburne, Vermont on November 15, 2013 by aleavitt77.